M 1000 x 730px 2 Mb. L 2000 x 1459px 8 Mb. XL 6200 x 4523px 15 Mb. 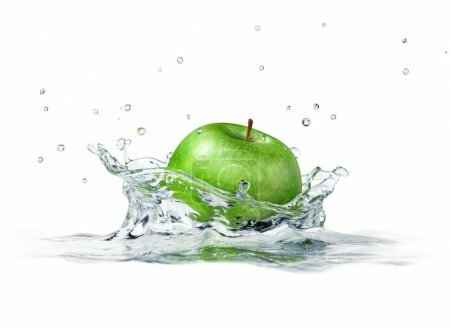 Green apple splashing into water. close up side view, with depth of field. 3 D digital rendering, on white background.